We are Boots & Bones. A unique brand of dog accessories, designed and created in Devon. Our handmade dog collars and leads are perfect for any fashion conscious dog and owner with a fabulous range of trend led colours and designs to choose from. We offer a bespoke made-to-order service – get in touch to request a quote. Rewinding back to 2014, and on a quest to find a beautiful looking collar that was high quality, trendy and affordable. 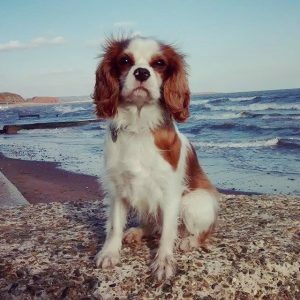 We were unable to settle on something that would be good enough for our new family member and now resident pup at HQ, Dotty the Cavalier King Charles Spaniel; Boots & Bones was born and officially launched in 2016. 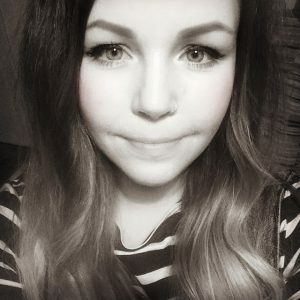 Ellie is our chief designer and marketeer. She can be found sat behind the sewing machine or chasing the latest fabric trends. And the boss… Dotty. She is in charge of quality control, and you may also spot her modelling for us on our website! We are always on the lookout for great new outlets to stock the Boots & Bones brand. Get in touch!